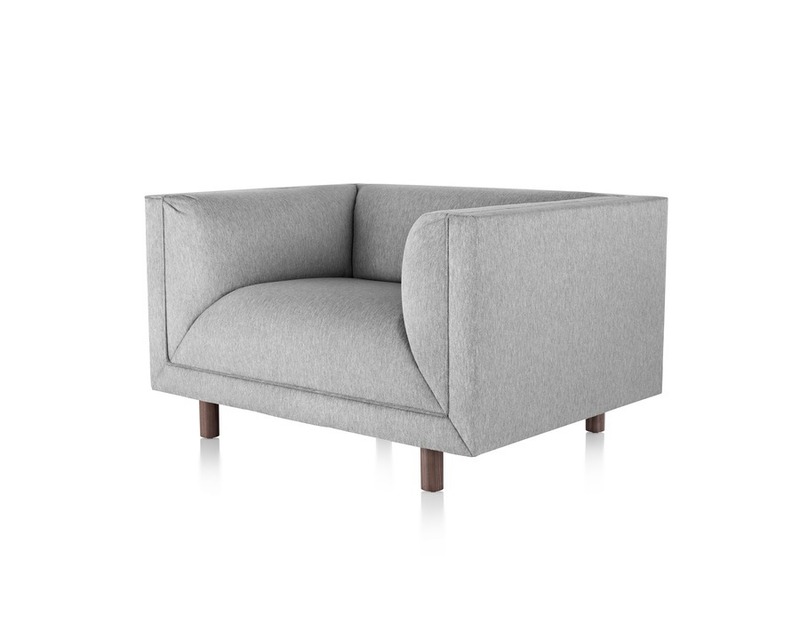 A modern version of the classic chesterfield - Ward Bennett's Rolled Arm Sofa has universal appeal and can move from residential to commercial spaces with ease. 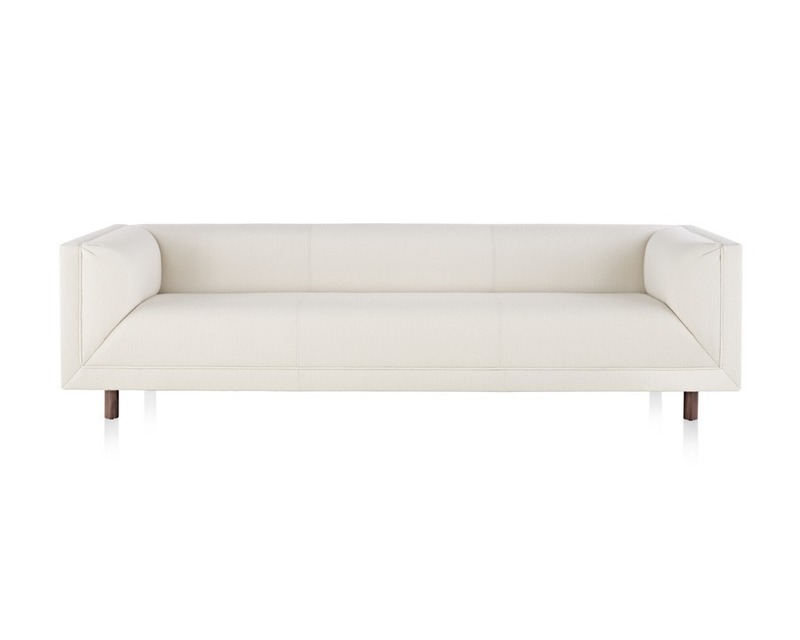 Its generous, low-slung, architecturally scaled volumes and crisply mitered upholstery provide a graceful silhouette. 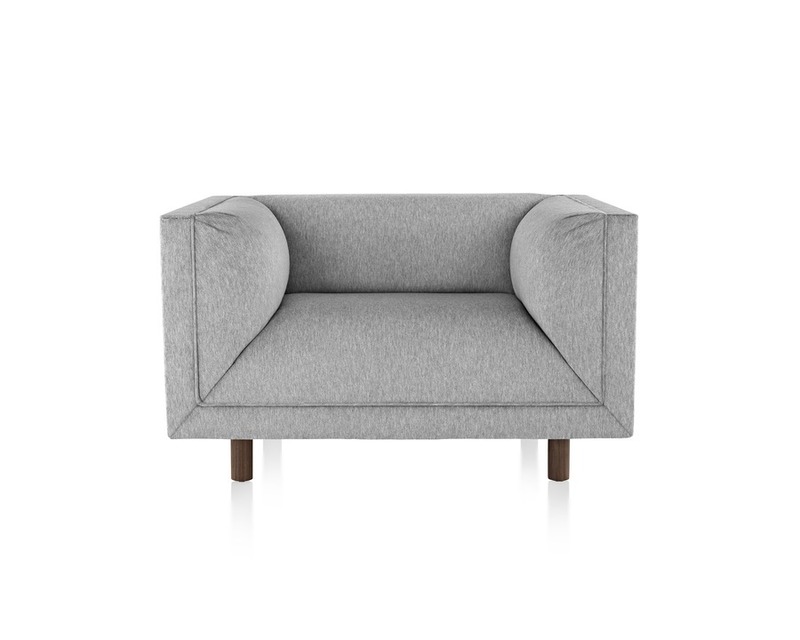 The sofa is perched on recessed solid wood legs, produced in walnut or ash.